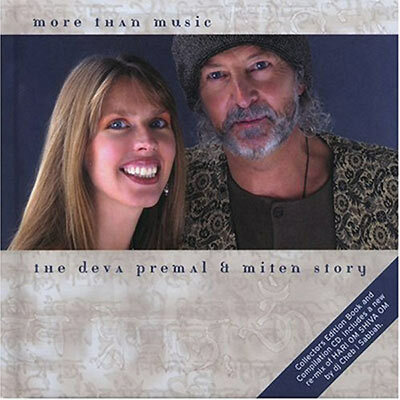 A beautifully produced photo biography book about Deva Premal and Miten, and a compilation CD. The 56-page CD-sized book in English and German tells the story of Deva Premal and Miten’s life together in their own words, along with many original photos. Also included is a beautiful CD with over 70-minutes of music featuring ten classic tracks from their best-selling albums, plus a previously unreleased remix of Hari Om Shiva Om by top American World Music DJ, Cheb i Sabbah.